Welcome to the BYGEMYST section of the club site. BYGEMYST is an acronym for Bedfordshire's Young(ish) Golfers Early Morning Yawn on Saturday's Team. 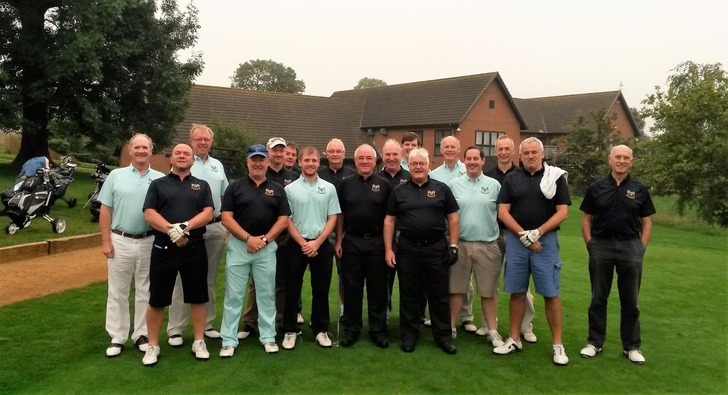 The group was started in 2003 by five BGC members including Steve Gilder, Kevin Ruhan, Steve Rush, John Simpson, and Clive Haywood. Whilst Steve ' the scuttler' Rush is sadly no longer with us, the group has grown dramatically over recent years and now has 28 active members. Everyone has their own 'tongue-in-cheek' nick name - each of which tells a story of sorts! A photo of some of the BYGEMYST members is shown here. 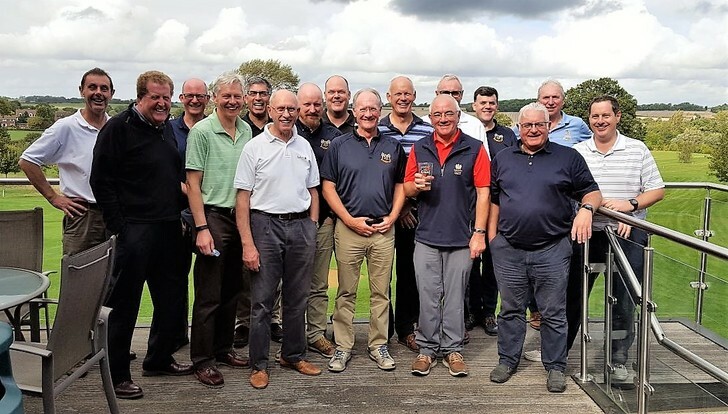 Our regular group golf tee-off time is Saturday at 7.30am, but over the years we have evolved to include a series of golfing challenges at other golf courses throughout the year, including a now regular golf tour to South Wales and even an international tour around Europe. As a group we also hold a series of social events with our partners including an end of season dinner and a summer BBQ. 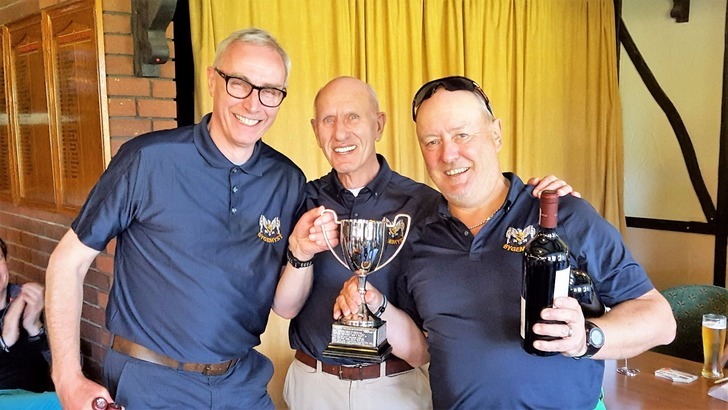 In addition to our official club handicaps, we also have our own social golf handicaps which are mainly used for play off 'the yellows' at Bedfordshire Golf Club. These are updated on a weekly basis on "the spreadsheet" which can be downloaded via the link below. There is also a link below to the BYGEMYST 'Major' Winners board which shows details of all BYGEMYST trophy competition winners since 2003. 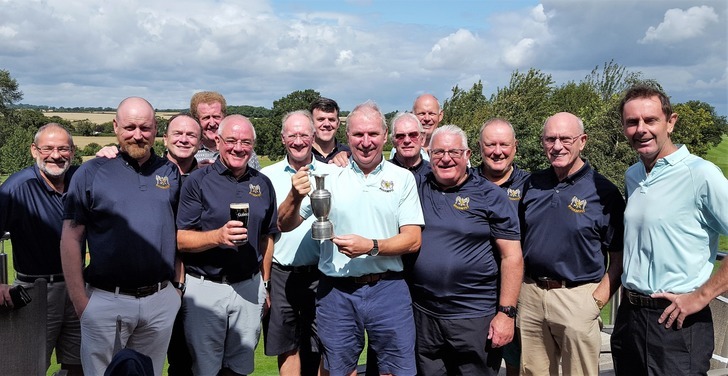 The 2017 Scuttle Cup was played for on a warm Saturday in August and 19 of the group competed for the coveted trophy. With a stiff wind building up during the morning, scores were lower than expected at the outset but one man batteld through, maintaining a 5 point advantage over the rest if the field. After a five year gap since his first victory, Chris Willliams won the trophy again with an impresive 39 points. Well done to Chris - he can be seen below proudly holding the trophy with some of the others who competed. Below - a selection from the BYGEMYST group toasting Kevin 'Billy' Ruhan before his imminent departure and retirement to Ireland. We look forward to seeing him as he returns occasionally in his new 'Country Member' status. 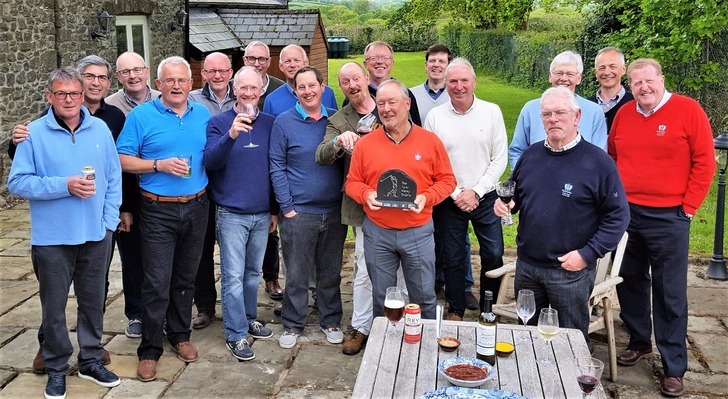 The 2017 Tywi Valley Tour was the biggest ever with no fewer than 20 tourists. 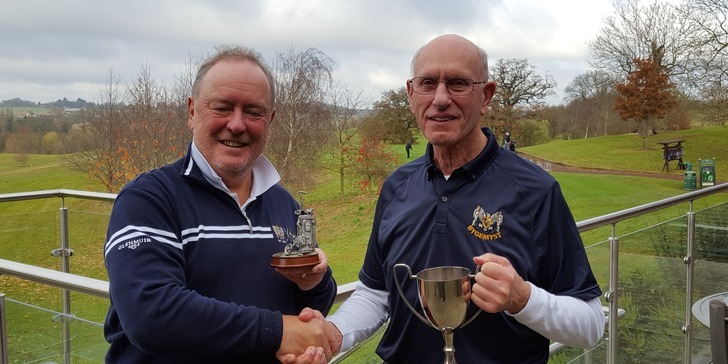 This year's winner was Steve (Rupert) Coppock, who's pictured below with the trophy and a few of his mates! Only missing are Head Chef (Del) and Sous Chef (Bully) as they were beavering away preparing the BBQ for everyone to enjoy, accompanied by the usual wine lake! At the BYGEMYST 2017 Spring UK Tour event, we visited South Beds GC and enjoyed a wonderful spring day, excellent golf and good hospitality. Our joint winners (pictured below) were Nick Willis (Father Ted) and Steve Coppock (Rupert). Making the presentation is last year's winner Peter Wilson (JR).